Khian “Khi” Prince has the ladies going crazy. He’s a certified boss with what seems to be the weight of the world on his shoulders. After failing at love twice, Khi’s not ready to give up on finding his queen just yet, and when he runs into Cuba Lance, he’s certain he has finally gotten it right. But when Cuba shatters his heart all over again, will Khi give up on love once and for all? Daelan “Dae” Prince is the ultimate bad boy. With the love of his life and their five-year-old son by his side, Dae seems to have his happily ever after. But things are never what they seem. After every bad decision, his loved ones are always there to pick up the shattered pieces he constantly leaves behind. But when Dae makes a decision that puts him and the lives of everyone around him in danger, will his brothers be there to save him once again? Kaedee Prince is known not only in the streets along with his brothers but also in the courtroom as one not to be messed with. With his wife, Deonna, by his side, they run the most sought-out law firm in the city. Kaedee knew that getting his degree in law would come in handy for him and his brothers, but never once did he think his wife would need his services. Welcome to the life of the Prince brothers. Khian “Khi” Prince has the ladies going crazy. He’s a certified boss with what seems to be the weight of the world on his shoulders. After failing at love twice, Khi’s not ready to give up on finding his queen just yet, and when he runs into Cuba Lance, he’s certain he has finally gotten it right. But when Cuba shatters his heart all over again, will Khi give up on love once and for all? Daelan “Dae” Prince is the ultimate bad boy. With the love of his life and their five-year-old son by his side, Dae seems to have his happily ever after. But things are never what they seem. After every bad decision, his loved ones are always there to pick up the shattered pieces he constantly leaves behind. But when Dae makes a decision that puts him and the lives of everyone around him in danger, will his brothers be there to save him once again? Kaedee Prince is known not only in the streets along with his brothers but also in the courtroom as one not to be messed with. With his wife, Deonna, by his side, they run the most sought-out law firm in the city. Kaedee knew that getting his degree in law would come in handy for him and his brothers, but never once did he think his wife would need his services. Welcome to the life of the Prince brothers. 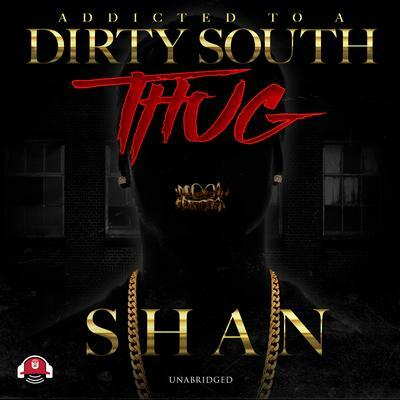 Shan was born in Louisiana and raised in Dallas, Texas. She is a mother, nationally bestselling author, and co-owner of Shan Presents, an independent African American publishing company. She is also the founder of the African American Book Expo. Her 2012 novel Hated by Many, Loved by None won the Urban Fiction Book of the Year award from AAMBC.